It’s a pity I couldn’t join the fun in Jessen/Wittenberg with all the WRTC happenings. I did help a tiny bit during the last years with some PR work, i.e. writing articles, but QRL took it’s toll and didn’t allow for any bigger contributions. 🙁 It was also planned to be on a family leave Friday to Saturday to northern Germany so another reason not being able to join. Of course it sounds like excuses but believe me, I would have loved to be there! On the other hand our family leave had to be cancelled on short notice. That at least gave me a chance to work all the Y8 calls that were issued for WRTC on Saturday! 😎 It took me about 6 hours to log them all remotely. 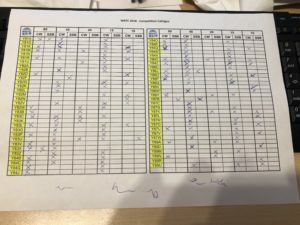 It might have been faster but Uwe, DL3BQA/DMØY, had the IARU-HF contest slot this year so I could only use the “second best bands” and had to take care not to disturb him with too much interference. It didn’t work out all the time so thank you Uwe for your patience with me QRMing you at times. 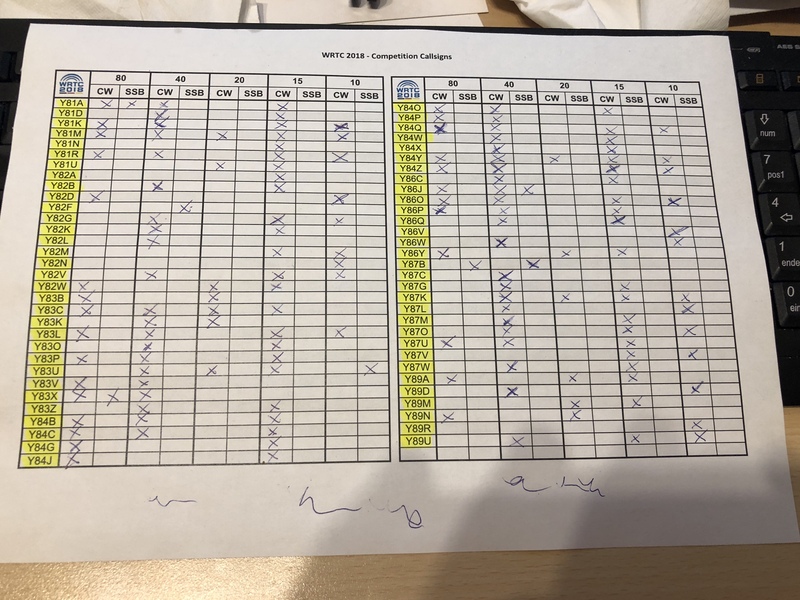 🙂 The spreadsheet provided on the WRTC website was of great help keeping track of my status working them all at least once (yellow coloured callsigns) and which bandslots! It seems the teams had a lot of fun and even set new records. I.e. 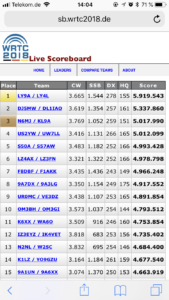 never before did a WRTC team manage to break the 5.000 QSOs barrier. 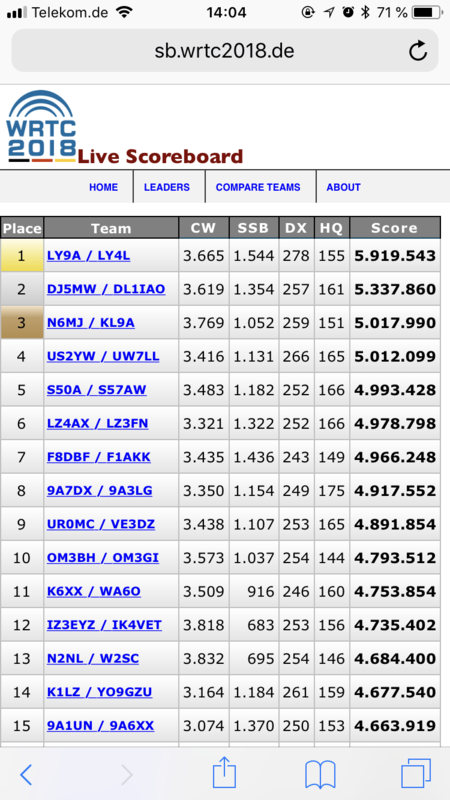 The winning team of LY9A/LY4L did – with just a hundred watts and wire antennas (which includes a Spiderbeam). Great work! The community also needs to thank all the people organizing the WRTC 2018 and especially all the 350 volunteers helping out locally, setting up sites, tents, stations, antennas, etc.pp. Must have been a fun week/weekend for sure! I followed the race closely using the scoreboard on Sunday and took the screenshot shown left just after the contest. I think place 1 and 2 are fix, logchecking will not change that much. But the race for place 3 is quite close, will be interesting to see who’ll make it or if the defending champions N6MJ/KL9A will keep their place on the podium.